Diversity in the workplace often sounds good but rarely gets addressed properly. Why? Unfortunately, most initiatives end up creating opponents rather than allies causing all of us to lose. Even those who seem to be winning. Let's discuss how to avoid trivial games and determine measurable goals that create change. 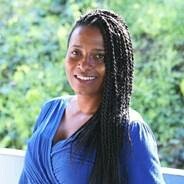 Zoe Moore, Founder of LB Alliance, event resource group, Is a Certified Diversity Practitioner seeking and creating opportunities on behalf of underrepresented professionals in the meetings & events industry. With a blossoming portfolio of talented event planners, caterers, DJs and much more LBA offers strategic staffing, production and procurement services for clients desiring innovative events. Honorably discharged from the Army in 2013 after 12 years of service, Zoe graduated California State University East Bay in 2016 with an MS in Hospitality Recreation & Tourism. Immediately choosing events as her field of choice, she conducted services for several clients across the Bay Area. While very passionate about the logistics and operations behind events her primary interests concentrate on advocacy, promotion and support for under represented professionals throughout the industry. Zoe Moore resides in the Bay Area has one 14 year old son, Jourden Moore, loves chocolate and enjoys professional candid photography as one of her many side hustles. Domenico Winery is a family owned and operated boutique winery located in San Carlos, California. We specialize in Italian varietals and have been making award-winning wine for more than 20 years. Our vineyard is located in the Sierra Foothills in Amador County, California, where our two estate wines, Syrah and Primitivo, are grown. We make over 20 varietals in-house and source premium grapes from other AVA's (American Viticultural Areas) in California including Napa Valley, Sonoma Coast, Santa Cruz Mountains, Shenandoah Valley, Lodi, and Woodbridge.